YouTube's Top Global Videos Of 2017: Singing Oyster, Dancing Prez, 'Despacito' : Goats and Soda To see how the world wastes time ... er, explores cultural phenomena ... check out some of the top videos by country from YouTube Rewind's rankings for 2017. By now, most of the world has caught wind of "Despacito," from Puerto Rican singers Luis Fonsi and Daddy Yankee. The mostly Spanish-language hit topped the Billboard charts and, according to YouTube Rewind's latest list of most popular videos, was also crowned as the most-watched YouTube video of 2017 — nay, of all time — with 4.7 billion views. One of India's top YouTube videos comes from Bhuvan Bam, a young singer and comedian from New Delhi. His most popular video, racking up 20 million views, is a one-man show about the chaos that ensues when a student's dad gets in the way of a group study session. His videos are mostly based on his life at home in a middle-class family, making them especially relatable to India's youth. There's just something so satisfying watching YouTuber Ria Yunita squeeze the living daylights out of a bunch of rainbow foam "squishies"— the latest toy obsession since the fidget spinner — only to see them slowly morph back into their original shape. If you've never had the pleasure of squishing one yourself, it's somewhat akin to hugging a fresh loaf of Wonder Bread. It's no wonder that the video, in which she squishes everything from a googly-eyed eggplant to a gecko head, ranked No. 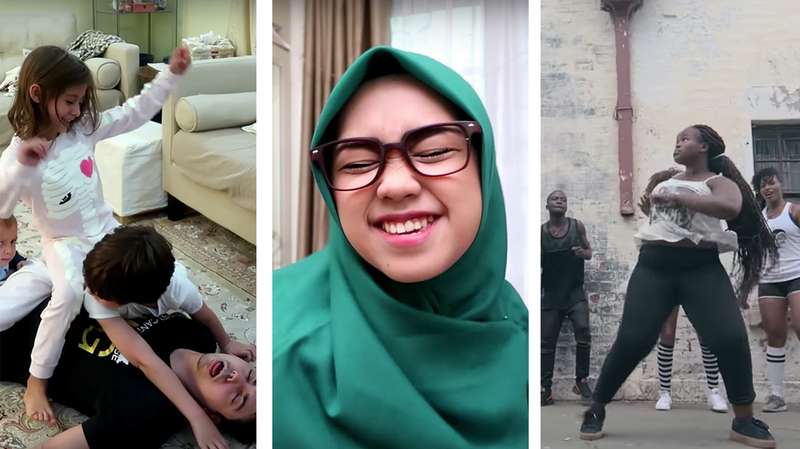 4 in Indonesia's most popular YouTube videos, with over 10 million views. Kenyan President Uhuru Kenyatta made international headlines following a controversial re-election, but in the country's most popular video, he is gaining attention for a different reason: As part of his campaign, the 56-year-old politician swapped his suit for a varsity jacket and joined a group of young Kenyans for a dance "like never before," according to the video. He sways side to side, crosses his arm and even dabs at the end of the routine. Niana Guerrero has a weakness, and it's the song "Despacito." No matter where she is — in a supermarket, entering an elevator or out in the middle of the street, the 11-year-old dancer can't help but bust a move when the song comes on. Lucky for us, her older brother is there to catch her in action each time. This compilation video has been seen over 18 million times. With more than 35 million views, the Middle East's top YouTube video features clips of Saudi vlogger Mohamed Moshaya at wits' end with his three lovable but mischievous children. They rummage through the laundry, steal Dad's laptop cable and laugh when caught red-handed. "People are naturally attracted to families," Moshaya told a local news site in February. "Through our videos, followers get a glimpse of how a family is living in Saudi Arabia and what they do on their travels." The most popular video in the country is actually the finale of a soap opera called Wiri Wiri, which depicts the complex relationship between a Senegalese couple and their extended families. There's betrayal, secrets, family feuds — and a manipulative mother-in-law. It wouldn't be a complete list without at least one video highlighting our universal love for dance. This year, 26-year-old Sibonelo Dimha — better-known by his stage name, Bhizer — brings us just that with a fast-tempo music video aptly titled "Gobisiqolo," or "bend your back" in the Xhosa language. The viral hit has taken the country by storm, with a track that has moved the hips of everyone from celebrities to schoolchildren to South Africa's "coolest" granny. With almost 200 million views at the time of writing, it seems like viewers fell — at least for a moment — for the voice of the Oyster Mask Singer. It's exactly what it sounds like: The singer dons a glitzy oyster mask and costume decorated with pearls as he belts out a powerful ballad. The video is a clip from a Thai TV game show called The Mask Singer, in which celebrities sing in ornate masks, their identities revealed only when they are eliminated.